Mr. Schaden has had a distinguished career as an international aviation and public interest trial attorney. With many years of successful litigation and trial work experience, encompassing over 400 aviation accident cases, Richard has obtained hundreds of millions of dollars in courtroom verdicts and settlements, along with the respect of both the legal and technical communities. An aeronautical engineer by education, Richard discovered early in his legal career that he could do some of his best aeronautical engineering and re-engineering and make general aviation safer, in the courtroom, rather than in commercial aviation R&D departments. 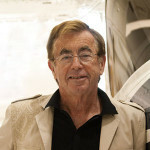 Prior to his legal career, Richard worked for the Boeing Aircraft Company as a Flight Test Engineer and for Continental Aviation and Engineering Corporation as a Jet Engine Project Engineer. Throughout his legal career, Mr. Schaden has authored several articles on the topic of product liability, provided special testimony on the topic of aircraft safety to a subcommittee for the U.S. House of Representatives; and lectured at various colleges and universities on the topics of trial practice, engineering, and product liability. Deeply committed to education, Mr. Schaden has been a frequent lecturer at the Law and Engineering Schools at the University of Colorado. He sits on the External Advisory Board for the University of Colorado Aerospace Engineering Department, and created the Schaden Chair in Experiential Learning at the University of Colorado Law School, helping law students obtain real world legal experience through trial advocacy competitions and clinical programs, as well as bringing access to legal representation to those who would otherwise not have been able to afford counsel. Mr. Schaden is licensed to practice law in Colorado, Illinois, and Michigan and is a member of several professional organizations, including: the Association of Trial Lawyers of America; the Colorado Trial Lawyers Association; the Lawyers-Pilots Bar Association, the Public Justice Foundation; and the American Association for Justice. Mr. Schaden’s passions include flying, sailing and engineering. As an Airline Transport Pilot with a Jet-Type Rating in numerous aircraft, he logs several hundred hours of flight time each year.